An asset to the team on and off the field, Marc Hope, senior marketing major, plays for the California Baptist University men’s soccer team. He contributes not only physically but also mentally to his teammates. Hope started playing soccer as a child and has remained in his current position as left midfielder since the age of 13. 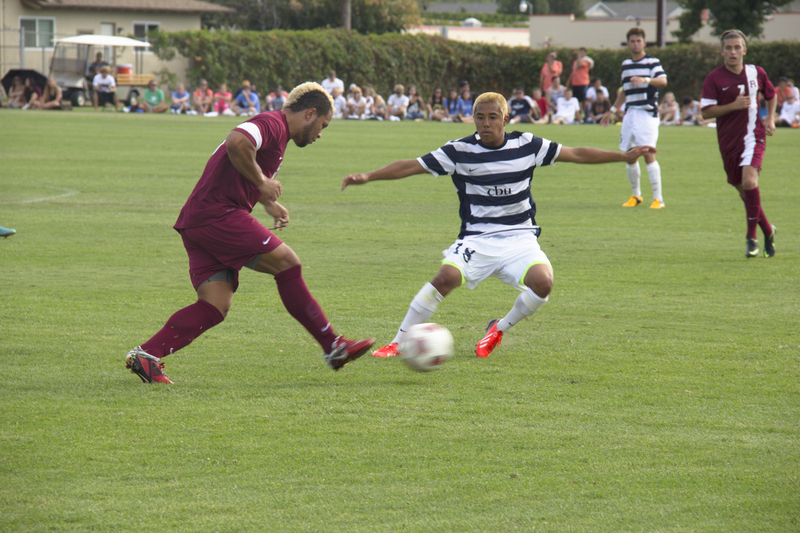 Hope plays multiple positions for the CBU Lancers, but his favorite is left midfielder. Midfield is a tough position to play; the player has to be quick on his feet and ready for anything. Hope did not think he would play college soccer. Hope has enjoyed his time playing with CBU. Schroeder praised Marc’s outstanding personality. Bringing skill, tenacity, and the drive to keep improving himself to better the team, Hope is a major contributor. Determination such as his has been beneficial to the men’s soccer team. Hope wants to continue soccer beyond the Lancer name. “I want to play as long as I can, but I can do marketing after, or if it doesn’t work out,” he said. Hope continues to succeed on and off the field.